My post ‘Natural Running’ posted on March 29 has so far elicited 157 comments, which at first sight might indicate that it was a topic of wide popular appeal. While I hope there is some truth in that, the number of comments actually reflects something different. Of the almost 4000 apparently ‘serious’ views of my blog ( not including the almost countless number of spam hits) in the past three weeks, only 288 were views of that page. Meanwhile, in the same three week period, my post from early March, ‘Does Usain Bolt run Pose Style,’ has been viewed over 500 times, while two of my perennially popular pages (‘Why do Marathon Runners have Skinny Legs?’ and ‘HRV during Exercise’) have drawn a few hundred views each, as is typical of any three week period. The popularity of the Bolt post is a pointer to the explanation for the large number of comments on the ‘Natural Running’ post. The majority of the 157 comments have been discussions between Jeremy, Hans, Simon and myself on issues closely related to Pose style. I have enjoyed participating is this lengthy discussion especially because it has yet again emphasized several of the characteristic features of Pose. One is the issue that drew Hans in to the discussion. As I remarked in a recent post, Hans is a runner who previously suffered a number of injuries while running with an approach based on effortful pushing. However, apart from some transient Achilles tendon problems, has enjoyed a relaxed, injury free running since taking up Pose, under the guidance of Jeremy. 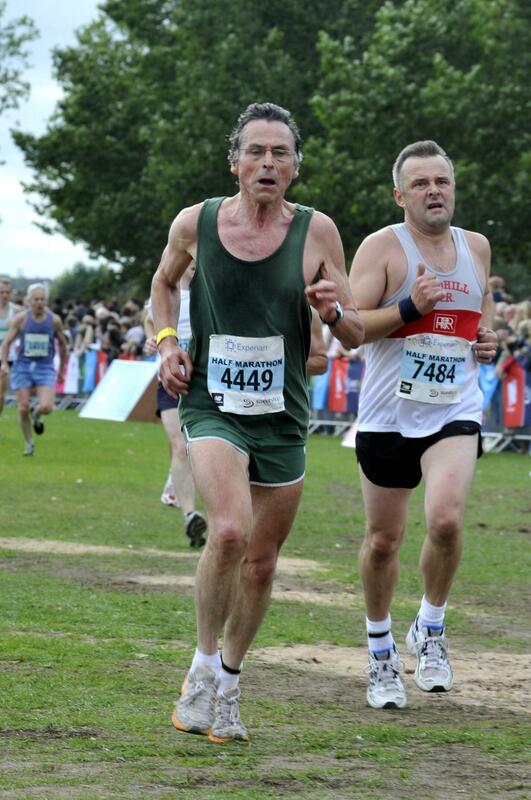 Hans has been eager to understand the physics and biomechanics of running but has been left with a dilemma: how can he explain the clear success of his current relaxed Pose style of running in light of the apparent conflict with the principles of physics and biomechanics. He has continued to design experiments to demonstrate that gravitational torque might provide kinetic energy which can be harnessed for propulsion when running. We have discussed his proposed experiments in some detail in the comments section of ‘Natural Running’. Hans has a clear enough understanding to see that ground reaction forces, both horizontal and vertical, must account for forward and upward motion of the body, but is still trying to devise the experiment that will demonstrate the role of gravitational torque, for the understandable reason that his experience demonstrates that Pose works. Simon has occasionally chipped to the discussion between Hans and myself, sometimes to re-inforce to Hans the inevitable consequences of Newton’s laws of motion, and sometimes to remind me that even though Newton’s laws clearly demonstrate that a push against the ground is required, this is a push that is largely automatic, and to warn me that my use of the term ‘push’ creates danger of misdirecting recreational runners towards a running style that emphasizes conscious push against the ground. In fact I agree strongly with Simon that for many runners it is counterproductive and perhaps even dangerous to produce a conscious push. Meanwhile Jeremy, who was an elite athlete with a sub-4 minute mile to his credit in the days before he took up Pose, has contributed comments reflecting the more typical position of a Pose advocate: namely that experience demonstrates Pose is unarguably the right way to run and anyone who questions this is simply wrong. As I have pointed out several times in the past, I have been fascinated by Pose for almost eight years on account of the fact that many recreational runners have found it has helped them run with fewer injuries, at least once that they have got beyond the Achilles problems that are common in the early stages. As I and others have frequently pointed out, Pose is based on a faulty understanding of physics and biomechanics, so what is the secret to its success? The most immediately apparent answer is that by creating an illusion that gravity provides free energy, Pose encourages the runner to stop consciously pushing against the ground. Since we are far more likely to push as the wrong time or in the wrong direction if we try to impose conscious control on the organization of a process that is better left to the non-conscious motor control system in our brain, it is not surprising that Pose often works well, at least for recreational athletes. However, if decreasing the rate of injury is merely a matter of disengaging our conscious mind from involvement in the task, simply chatting with a running partner should work just as well. This is probably not the case, suggesting that there are some more positive reasons why Pose works. While it would be fatuous for an outsider to claim to understand Pose with the insight of a disciple fully imbued with the tradition and rituals of the practice, the long and challenging discussions with Hans and Jeremy left me with a feeling that I now understand what it is about Pose that works sufficiently well to allow me to fit these beneficial features into my own approach to running, without the need to embrace the cartoon physics. So what are the elements of Pose that might be beneficial? First, it is important to note the role of gravity is accelerating, either at the start of a run or when changing speed. Leaning does allow us to use gravity to generate kinetic energy which can then be re-directed to provide horizontal acceleration by means of ground reaction force. This involves a push against the ground but this push is mainly a reflex action to stop falling on one’s face. So there is no doubt that gravity helps acceleration, even though the work is ultimately done by the muscles. For a sprinter, he/she consciously pushes against the starting blocks and the ground but an endurance runner rarely perceives the push. When running at a steady speed, Newton’s first law, which states that a body continues in a state of uniform motion unless acted upon by a force, tells us that we can minimise the need for any push by minimising braking. We minimise braking by spending a small time on stance. There are two feature of Pose that minimise braking. The first is high cadence. This results in a shorter gait cycle, including shorter time on stance and shorter airborne time. The shorter airborne helps reduce stance time by virtue of the fact that the impulse required to get airborne can be delivered within a shorter stance time (for a specified value of average vertical Ground Reaction Force). His justification for this claim is based on a seriously mistaken understanding of Coriolis force, but his claim does indeed contain a germ of truth. Coriolis force is a virtual force that is invoked to account for the path of an object viewed by an observer in a rotating frame of reference. Neither the runner nor a stationary observer is in a rotating frame of reference. Coriolis force might only need to be invoked to account for the trajectory of a part of the body viewed via a video camera mounted on a rotating part of the leg or arm. And even for such an observer, the Coriolis force would not be a real force; it would simply provide a way of describing the fact that the observed body part is moving relative to the observation platform. By invoking Coriolis force as the force involved in the swing while pointing out that it is not a real force, Dr Romanov creates an illusion that very little work is required to swing the leg. This is simply wrong. In fact, at high speeds, the energy cost of swinging the leg exceeds the costs of overcoming braking and of getting airborne (as discussed in my post of April 5th, on cadence). However, the germ of truth comes in the fact that in Chapter 8 of Pose Method of Triathlon Techniques, Dr Romanov explains how Coriolis force works by referring to the equation for the moment of inertia of a rotating body. In the context of the swinging leg, this equation for moment of inertia has nothing to do with Coriolis force, but is very relevant to making the swing efficient. The change in moment of inertia accounts for the remarkable effect obtained when the distribution of mass in a rotating objects is adjusted to make the rotating body more compact. The effect is illustrated most dramatically by a pirouetting ice skater. As the skater draws his or her arms in towards the torso the speed of rotation in increases. This is because for the amount of force that is required to produce rotational motion depends on both the mass of the object and the square of the distance of each part of the body from the axis about which it is rotating. The moment of inertia of a body about a given axis is the sum of a contribution from each body part calculated by multiplying mass of the body part by square of distance of that part from the axis. A smaller force is required to accelerate a compact rotating body on account of its relatively small moment of inertia. If the body is already rotating, the law of conservation of angular momentum ensures that making it more compact will cause it to spin faster without requiring input of more energy. With regard to the swing leg, if the foot is folded up near to the buttocks as a result of knee flexion, it has a smaller moment of inertia and requires a smaller force (and less energy) to swing it. Most coaches simply refer to this as the benefit of a short lever arm. By spuriously invoking the concept of the virtual Coriolis force, Dr Romanov has emphasised that it is best to avoid consciously driving the swing. In fact, the pendular swing of the thigh around the hip and the lower leg around the knee does require exertion of force. It is not purely driven by gravity. However much of the work of swinging the thigh is done by the psoas muscle which is buried deep in the pelvis. Because it plays a major role in maintaining posture and in many everyday actions such a climbing stairs, psoas is a fairly strong muscle in most people. Many runners are not aware of it, unless it is injured; and then they sometimes find themselves incapacitated for a period of months. However most of the time psoas gets on with what we require of it without need for conscious attention. Thus despite being based on erroneous physics and erroneous biomechanics, Pose does encourage the runner to engage muscles that achieve efficient running in an apparently less effortful manner, and to avoid conscious forceful contraction of muscles which are best left to contract automatically. If we are to run well we need to avoid unnecessary or mistimed pushing. In particular we need to avoid wasting kinetic energy by unnecessary braking and we need to learn how to capture impact energy via elastic recoil. I therefore think that for recreational endurance runners Pose is better than a running style that is based on the mistaken belief that strong conscious pushing is required. Elite sprinters do need to push consciously, but that is not our present topic. However, while Pose has advantages for the recreational runner, there are two types of problem with Pose. First, it creates the illusion that large forces are not required and this illusion does predispose to some injuries. Secondly, for a recreational runner who wishes to achieve his/her best possible performance, there is a risk of failing do the type of training that is required. To give one very specific example, the Change of Stance and High Knees drills involve similar movements: the flexion of hip and knee of one leg as it rises while the other leg descends to the ground. However, CoS promotes precise timing while High Knees develops powerful hip flexors. Pose places a disproportional emphasis on CoS at the expense of High Knees. If we wish to achieve our peak performance we need to ensure that the hip flexors, including psoas, are powerful. The emphasis on minimizing push against the ground avoids the dangers of a mistimed or delayed push. In practice a push is essential to get airborne and to compensate for braking. Nonetheless, by promoting high cadence and rapid lift-off from stance, Pose minimises the amount of braking while encouraging a non-conscious push. Similarly, by minimising the role of the hip flexors during swing, Pose reduces the risk of harmful over-striding. In practice, the required hip flexor contraction occurs automatically. For the recreational runner for whom avoidance of injury is more important that achieving peak performance, Pose has several features to recommend it, including minimizing the risk of protracted push against the ground and the risk of over-striding. You are currently browsing the Canute's Efficient Running Site blog archives for April, 2012.